JAX-RS is awesome to say the least and one of my favorites! Why? JAX-RS 2.0 is the latest version of the JSR 311 specification and it was released along with Java EE 7. 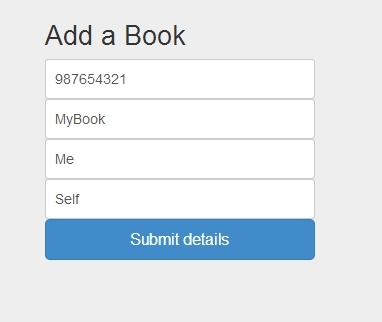 This means that something like a HTML5 based client would need to extract the FORM input, convert it into JSON or XML payload and then POST it over the wire. 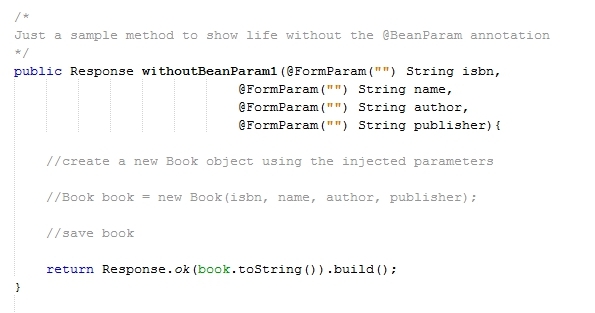 This process has been simplified by introduction of the @BeanParam annotation. It helps inject custom value/domain/model objects into fields or method parameters of JAX-RS resource classes. Make sure that we include the @BeanParam annotation while injecting a reference variable of this POJO (only on METHOD, PARAMETER or FIELD). JAX-RS provider automatically constructs and injects an instance of your domain object which you can now use within your methods. Just fill in the form information and POST it ! 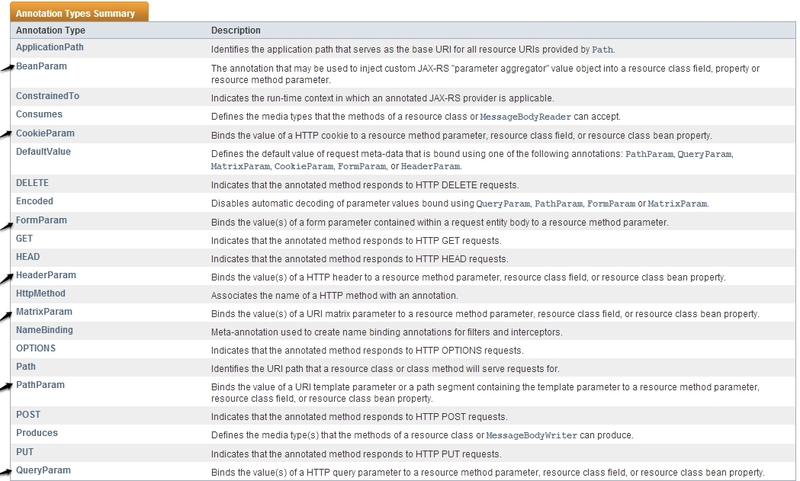 This entry was posted in Java EE and tagged BeanParam, Java EE 7, JAX-RS 2.0, JSR 311, REST, REST web services. Bookmark the permalink. Please give some credit to original author. Hi Avinash – it just happens to be a coincidence that the author of this post and the one you pointed ( http://java.dzone.com/articles/new-jax-rs-20-%E2%80%93-beanparam) are the same. Can you please explain the advantage of using BeanParam when compared to using JAXB annotated POJO ? When BeanParam is used, there is no marshalling/unmarshalling happening in background? @BeanParam and JAXB support (in JAX-RS) are two different topics altogether. The former makes it easy to inject data from various sources (headers, cookies etc.) by allowing you to represent them as a a single POJO (bean), rather than injecting them individually. To answer your question, there is no marshalling/unmarhshalling happening here. JAX-RS runtime just injects the POJO. Since JAXB support is provided by JAX-RS implementations by default, the serialization/deserialzation is taken care of by the runtime/framework itself. It depends on what you’re trying to inject i.e. headers, cookies, query parameters etc. All these need to passed from the client in the standard ‘HTTP’ style. Can BeanParam support JSON payload? If not then is there any other annotation which can wrap all the xxxParam and post request’s JSON payload in a single object?